Tanzania’s National and Transnational Serious Crimes Investigation Unit (NTSCIU) had been surveilling Yang Feng Glan for over a year, before arresting the 66-year-old for her 14 year involvement in ivory trafficking, the Elephant Action League said in a press release. Glan is “the most important ivory trafficker ever arrested in the country,” said the U.S based nonprofit group, underlining the significance of the NTSCIU task force’s investigation and arrest. The Elephant Action League’s mission is to fight wildlife crime by assisting concrete projects on the ground, as well as exposing crimes by investigative reporting using whistle-blowers. Known as the ‘queen of ivory’, Glan is reported to have led a ring that connected poachers in Tanzania to ivory buyers in China, smuggling 706 tusks worth £1.26 million. Tanzanians Salvius Matembo and Manase Philemon were also charged, said the Guardian. Ivory trafficking is responsible for the dramatic decline in African elephant populations over the last decade. Taking into account an annual birth rate of 5%, around 85,000 elephants were killed by poachers in Tanzania between 2009 and 2014, according to census figures reported by the Guardian. The Elephant Action League said that Glan is involved with Chinese-owned businesses abroad, and is connected with high Chinese society in Tanzania, as well as owning the country’s largest Chinese restaurant, in Dar es Salaam. She is also the vice president and secretary-general of the Tanzania China-Africa Business Council. Originally from Beijing, Glan, who speaks Swahili, came to Tanzania as a translator in 1975 when the Chinese were helping to build a railway. The NTSCIU task force has collected information on Glan’s ivory trafficking that shows her involvement in this criminal activity since at least 2006. Glan had recently left Tanzania for Uganda, but was arrested by the task force on her return. 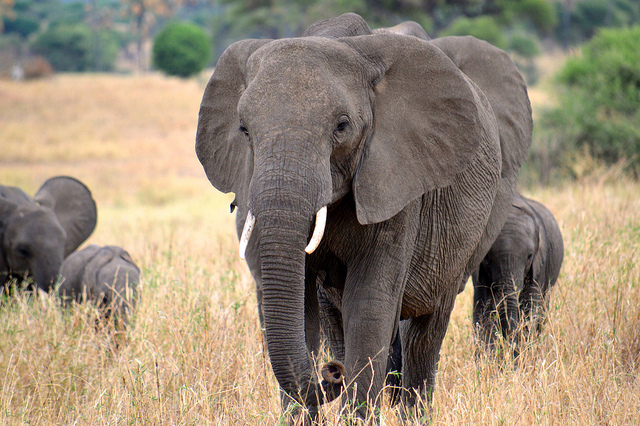 She was charged in the high court of Dar es Salaam and faces 20-30 years in prison, said the Elephant Action League. The scale of Glan’s ivory trafficking exposes corruption at both individual and government level, which allows large quantities of ivory to pass undetected through Tanzania’s two ports. Operation Spider Net was set up by the government’s NTSCIU earlier in the year to combat poaching syndicates in Tanzania. The covert operation started its investigations in Katavi National Park, involving the NTSCIU task force, the police force, Tanzania Intelligence and Security Services, the Tanzania National Parks Authority, the Wildlife Division, and informers. A Spider Net task force source told the Citizen that with the ongoing pace of the operation supported by government and stakeholders, rampant poaching could be curbed in Tanzania in the next few years. Arrests have already been made this year with some suspects having over 40 tusks in their possession. The criminals are often ex-soldiers who have amassed significant weapon stores. Dishonest staff are hampering anti-poaching drives and corrupt police officers and court staff have had to be removed, the source told the Citizen. A poaching syndicate may involve between 70 and 100 people in the field, including reconnaissance teams of around 10 people who search for elephants; killing teams of 50-70 people who locate those elephants, shoot them and remove elephant tusks; and rear guard teams. Middlemen connect these poaching teams to buyers, said the source. Another source closely involved with Operation Spider Net said it isn’t only organised criminal networks involved in poaching in Tanzania, but poor people living near national parks who do not understand the consequences of their actions. They risk their life for very low pay while further down the line, the likes of Yang Feng Glan become very rich without staining their hands with elephant blood. Navigators, shooters, tusk removers, porters, and cooks are allegedly paid around Sh500,000 between them for a 15 kilogram tusk, when the tusk can fetch Sh5 million from dealers who export the ivory. The collaboration of criminal investigation and intelligence teams, highly trained anti-poaching teams, technology experts, and law enforcement teams is starting to break down poaching syndicates. The arrest of the ‘queen of ivory’ is evidence that Operation Spider Net is making an impact to fight wildlife crime and save elephants and rhinos in Tanzania. Thirty years in prison is not recompense for the hundreds of thousands of lost elephants, but it would send a clear message about the government’s crackdown on ivory trafficking.